Brian Goetz is a software consultant with twenty years industry experience, with over 75 articles on Java development. He is one of the primary members of the Java Community Process JSR 166 Expert Group (Concurrency Utilities), and has served on numerous other JCP Expert Groups. Tim Peierls is the very model of a modern multiprocessor, with BoxPop.biz, recording arts, and goings on theatrical. 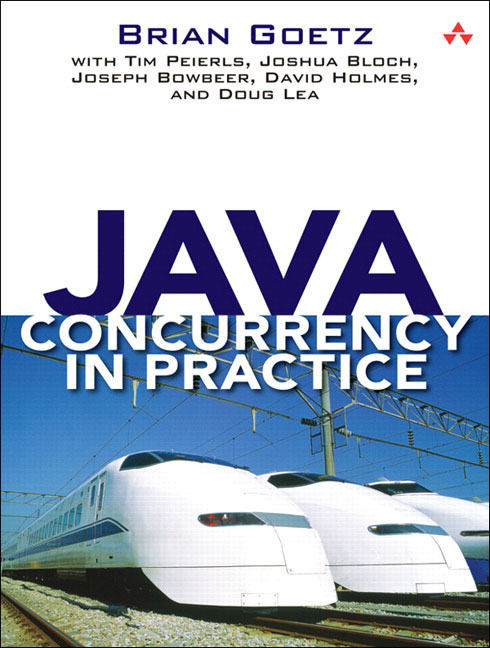 He is one of the primary members of the Java Community Process JSR 166 Expert Group (Concurrency Utilities), and has served on numerous other JCP Expert Groups. Joshua Bloch is a principal engineer at Google and a Jolt Award-winner. He was previously a distinguished engineer at Sun Microsystems and a senior systems designer at Transarc. Josh led the design and implementation of numerous Java platform features, including JDK 5.0 language enhancements and the award-winning Java Collections Framework. He holds a Ph.D. in computer science from Carnegie Mellon University. Joseph Bowbeer is a software architect at Vizrea Corporation where he specializes in mobile application development for the Java ME platform, but his fascination with concurrent programming began in his days at Apollo Computer. He served on the JCP Expert Group for JSR-166 (Concurrency Utilities). David Holmes is director of DLTeCH Pty Ltd, located in Brisbane, Australia. He specializes in synchronization and concurrency and was a member of the JSR-166 expert group that developed the new concurrency utilities. He is also a contributor to the update of the Real-Time Specification for Java, and has spent the past few years working on an implementation of that specification. Doug Lea is one of the foremost experts on object-oriented technology and software reuse. He has been doing collaborative research with Sun Labs for more than five years. Lea is Professor of Computer Science at SUNY Oswego, Co-director of the Software Engineering Lab at the New York Center for Advanced Technology in Computer Applications, and Adjunct Professor of Electrical and Computer Engineering at Syracuse University. In addition, he co-authored the book, Object-Oriented System Development (Addison-Wesley, 1993). He received his B.A., M.A., and Ph.D. from the University of New Hampshire.